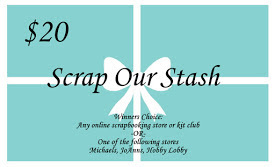 Thank you all for playing along with Scrap Our Stash this month! 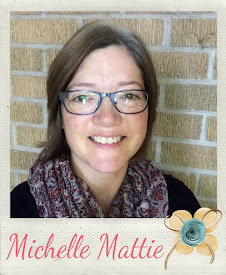 4 WINNERS for our BIRTHDAY GIVEAWAY! 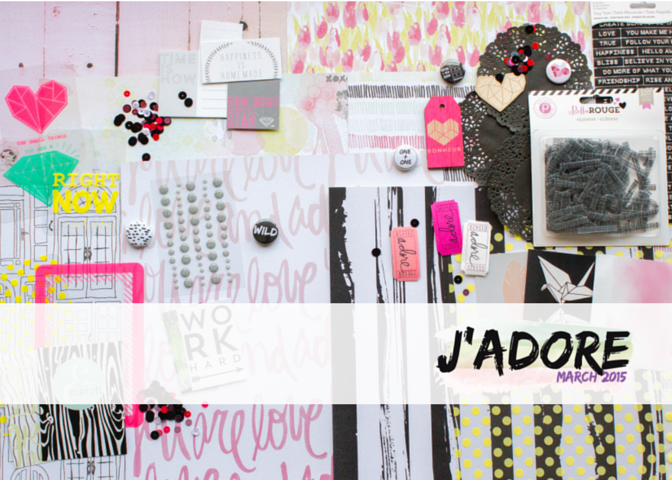 One of you will be contacted and invited to be our Guest Designer for the month of May! from our sponsor CLIQUE KITS! 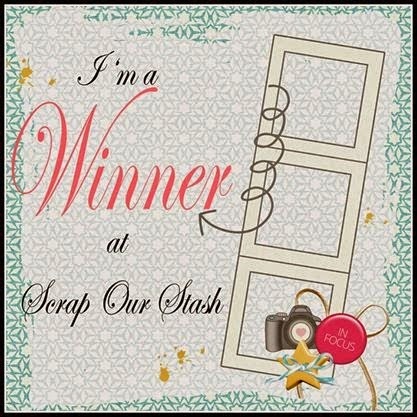 email us at scrapourstash@gmail.com with March Winner in the subject line and we will get your prize sent out to you!!!! 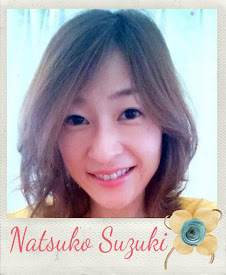 4 lucky winners of our Birthday Giveway!! 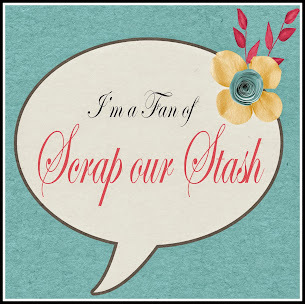 Thank you to all for taking the time to "like" and "share"
our new Scrap Our Stash Fan Page! 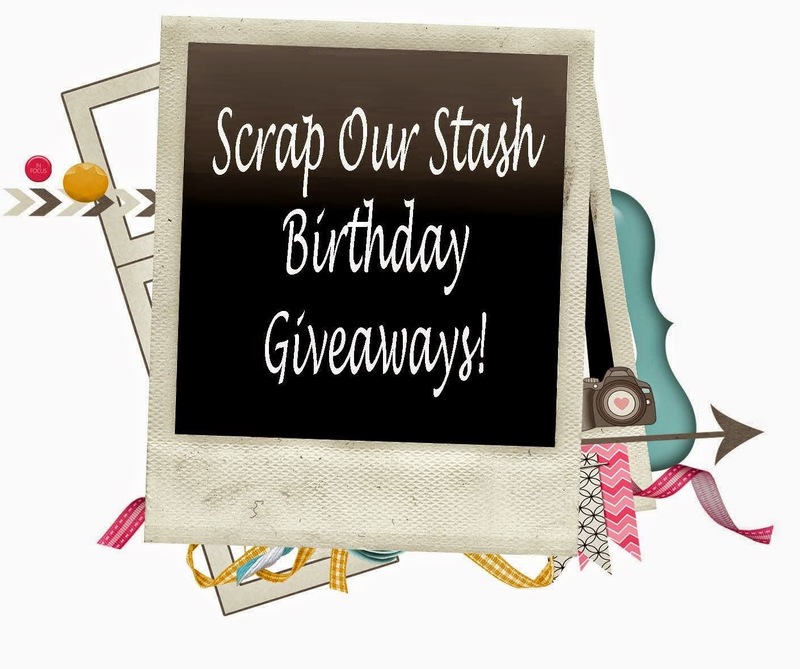 email us at scrapourstash@gmail.com with "Birthday Giveaway Winner" in the subject line and we will get your prize sent out to you!!!! 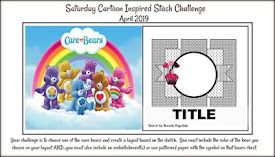 to check out our April Stash Challenge! "I love this sketch by Karan Gerber! It was perfect for what I wanted to do and use. It took me a while to embrace the trend of 'gold' but after I started using it on this layout, I really have to say, I love it! I want more gold embellies, foil, paper, mist, etc!!! All of it! LOL Although you can't tell from the photo (it photographed black - bummer) I used gold foil over adhesive flourishes that I added by the flowers. 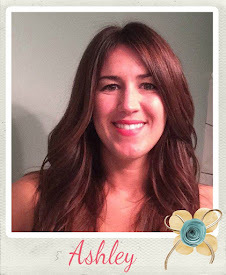 I also used gold glitter scalloped border strips and gold rimmed brads." 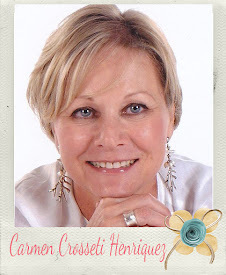 Thank you Karan Gerber for being our March Guest Sketch Artist!! 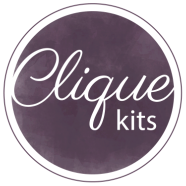 And once again, Thank you Clique Kits for sponsoring us this month!! 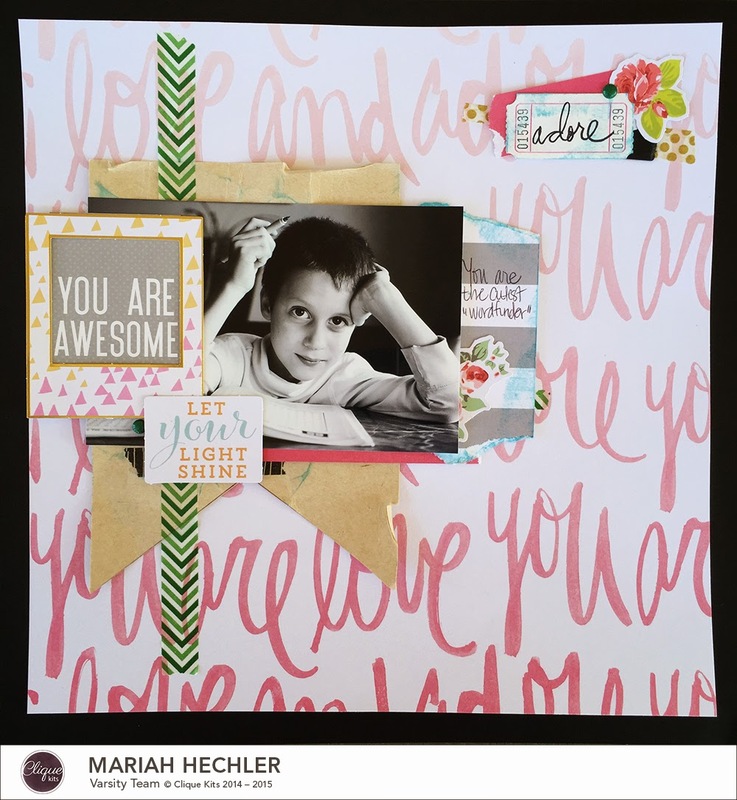 Today we are sharing with you some beautiful layouts from the Design Team over at Clique Kits inspired by our March sketch challenge. 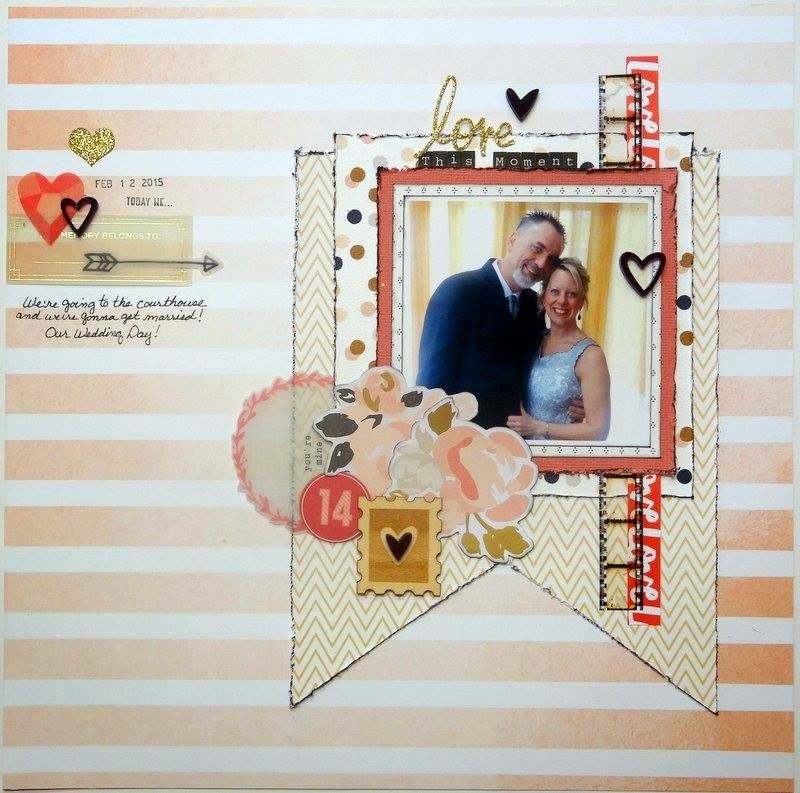 Donna used the November kit (Lemon Owl papers and embellishments). 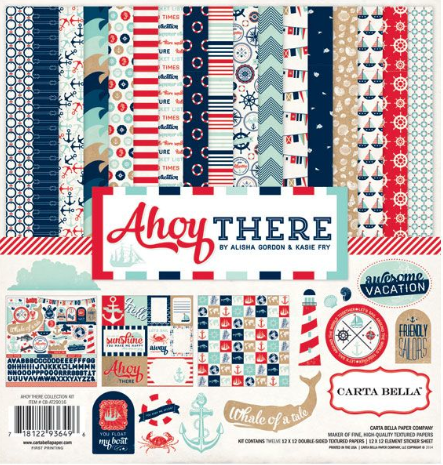 Please check out their website for some awesome kits! "Yep, we finally made it official after 20+ years and ran off to the courhouse and got married! It was perfect! Nothing big, just very intimate. I just loved this sketch when I seen it and couldn't wait to play with it. I stayed pretty true to it except for mirroring the placement. As for the stash part of including gold embellishments, it gave me the opportunity to finally use some up. 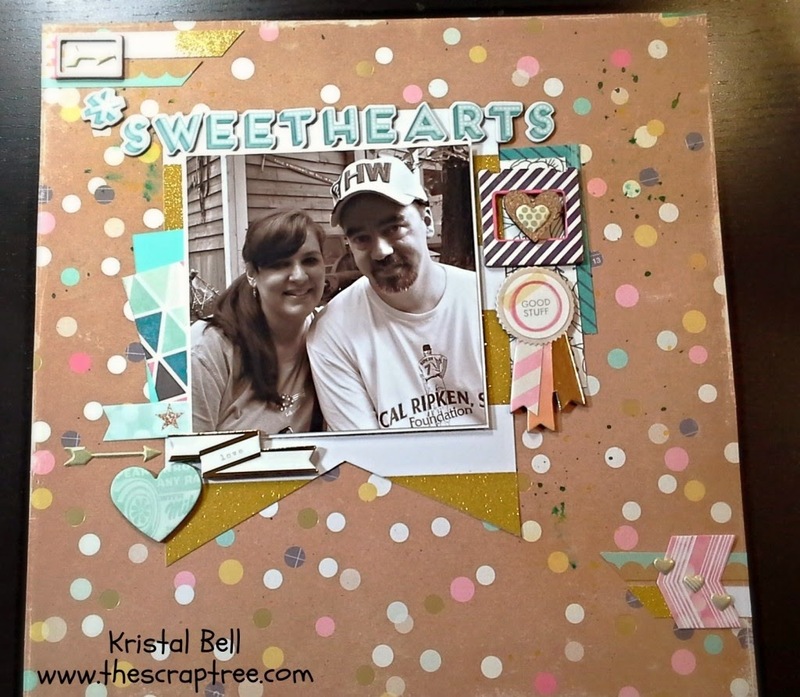 My gold touches included are the heart above the date and the love part of my title, also seen in the chevron paper and in the ephemera pieces. Just enough gold for some added sparkle!" 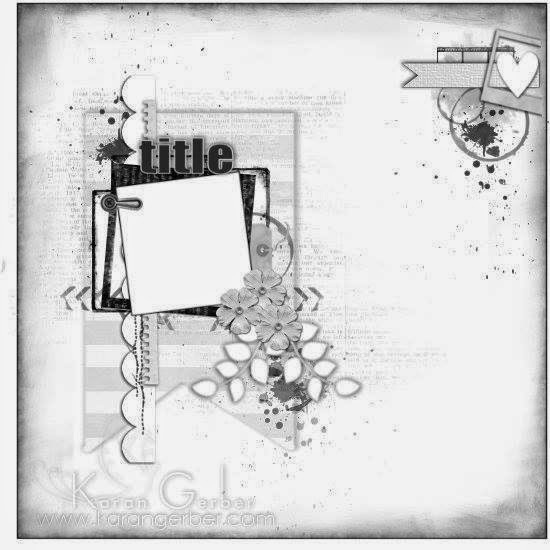 There is only a couple of days left to get your layouts linked to the sidebar for this sketch challenge and for the March stash challenge. You can find information on both challenges HERE. 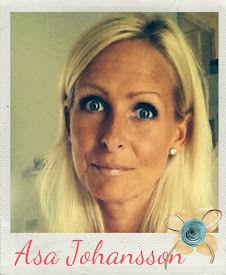 "It's all about the GOLD-something I have been loving for at least the last 3 months or so! This is an older picture of my daughter from a photo shoot and I knew it was perfect for this sketch! 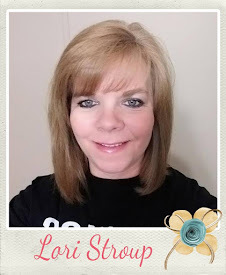 I used a gold doily, gold washi's, gold words and puffy heart shapes and that awesome Jenni Bowlin gold butterfly was cut out from my Silhouette. Can't wait to see your GOLD!" Oh and don't forget TO ADD GOLD to your layout! "This seemed like the perfect challenge to share a photo from this year's New Years Eve party. It was a masquerade party full of gold and sparkle. 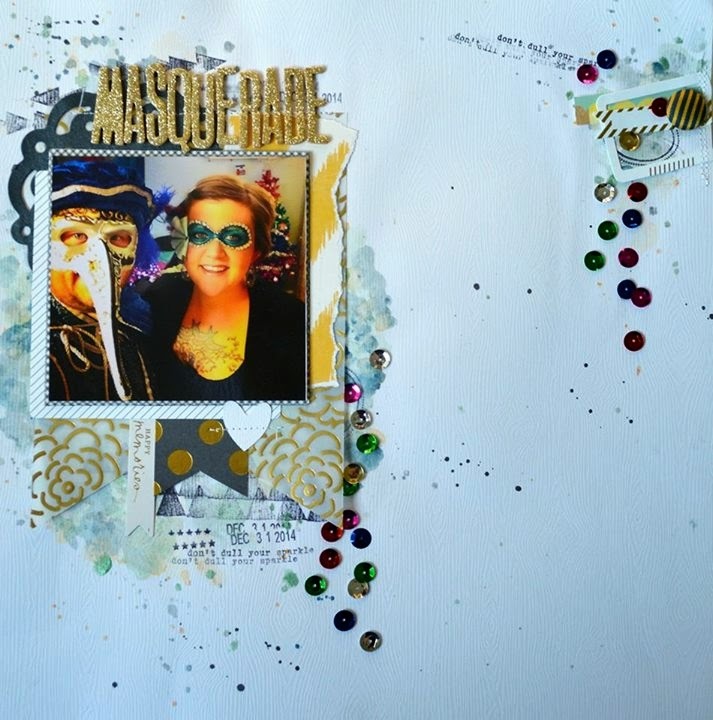 Truth be told, there was a time when I would have struggled to create a layout with gold embellishments I resisted the gold trend and didn't have anything in my stash. Well, that's changed in a big way. 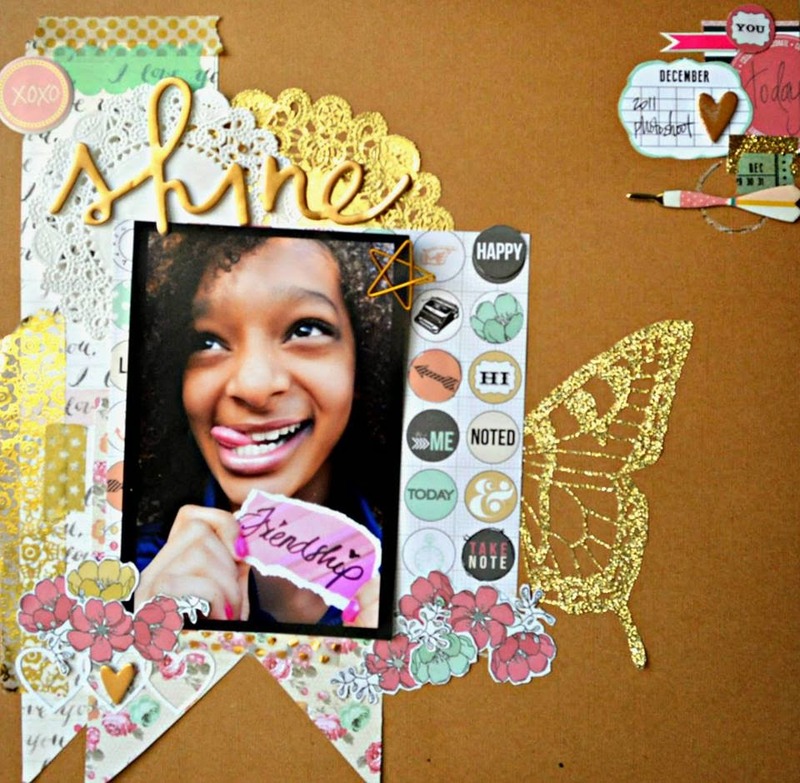 It was easy to incorporate for this layout, as I've been obsessed with all things gold in recent months." "Got Gold? I do! And with this layout I start my wedding album after 9 years. Maybe I will be finished with it by my 10 wedding anniversary -one can only hope. You can't go wrong with a great sketch and lots of gold. 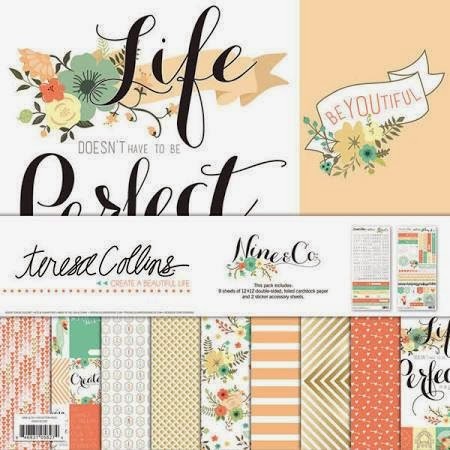 I used My Mind's Eye Market Street collection for this layout. 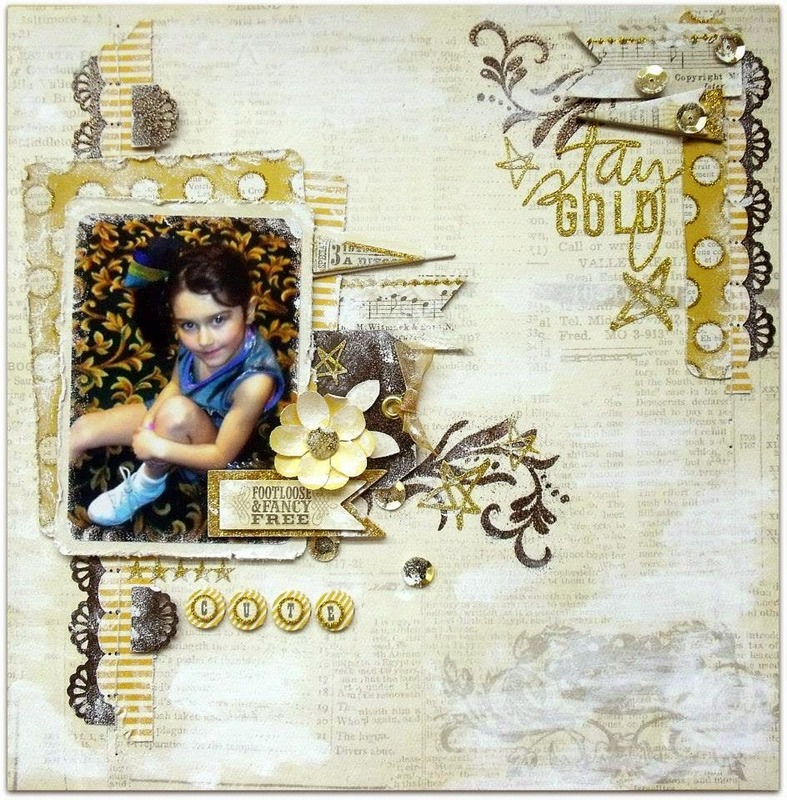 There is a lot of gold papers and embellishments in this collection. It's really the only collection I own with gold since I am still working on my stash from last year and the year before. I also pulled out my die cutting machine for the flowers and border strips. 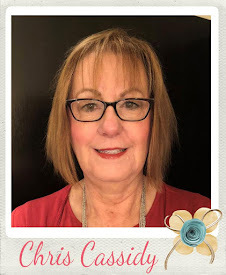 I finished with my favorite gold accessory -Heidi Swapp Gold Shine Mist. I can't wait to see your gold layouts created with this wonderful sketch. Have fun! Enjoy!" 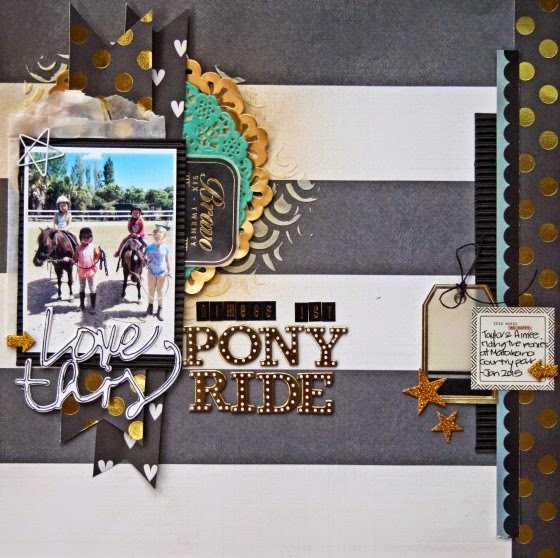 Click HERE for challenge details and remember you all need to add GOLD to your layout! Make sure to upload your layout to Mr. Linky in the sidebar by March 29th. "This is a picture of my darling daughter, René. She lives over 1,700 miles away from me. On top of that, she travels word-wide. This picture was taken while she was in Africa, last year. So, lovely! For my gold embellishments, I used a LOVE paperclip and a STAR paperclip. 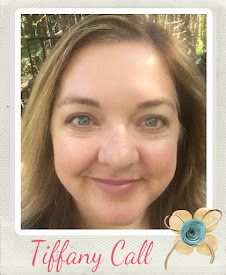 I, also, used an old gold heart-shaped button, some little gold dots and I added some gold polka-dot Washi tape and gold spray on my title. 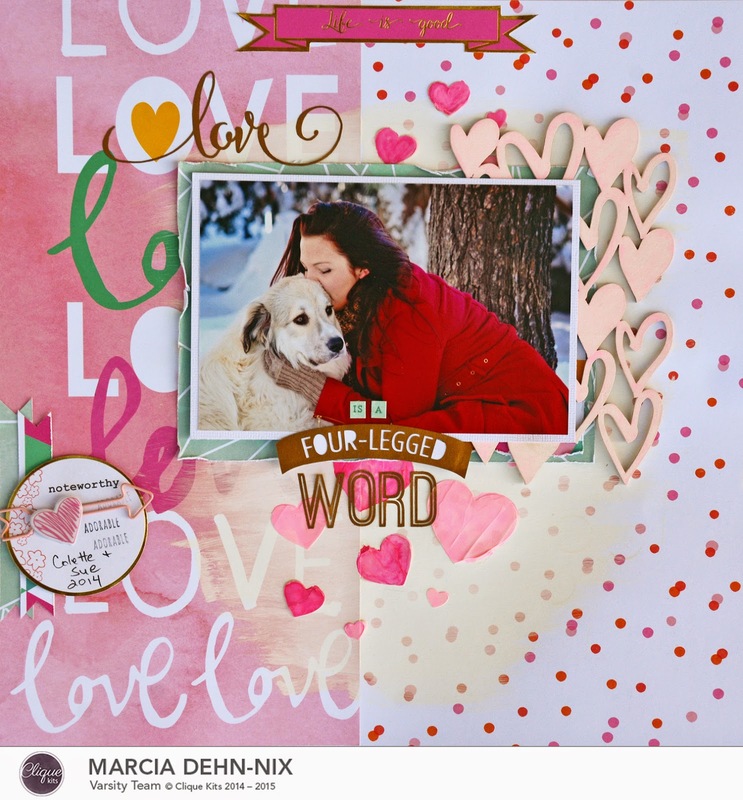 For more detail shots of this layout, please visit my blog at http://robinredd.typepad.com/reddrobinstudios/"
Remember you all need to add GOLD to your layout! 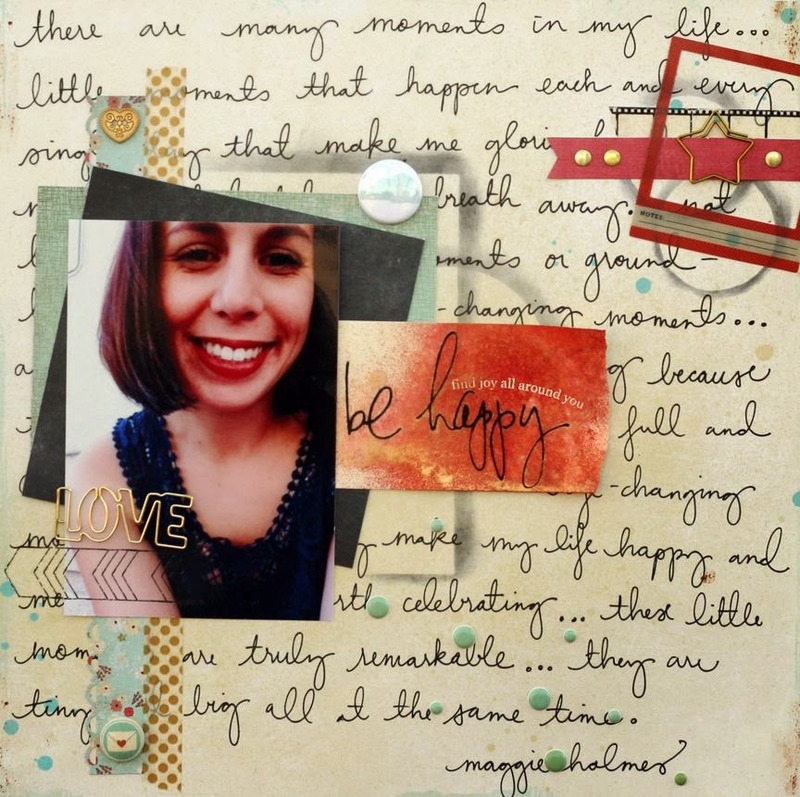 Here's a fabulous GOLD layout by DT member Nicole to inspire you today! 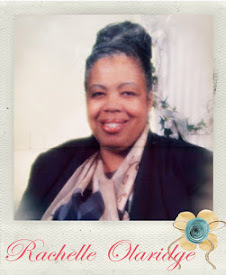 "My title says it all! Alongside this beautiful sketch, I incorporated many gold elements to my page starting with the very pretty papers from My Mind's Eye. 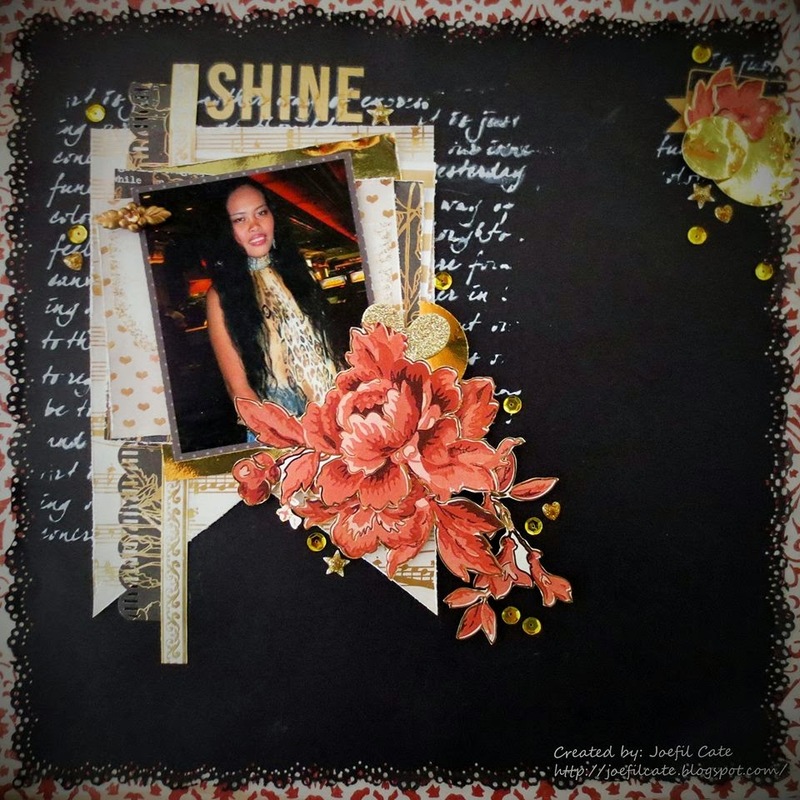 As you can see, I had many embellishments in my stash to match the papers including the title 'Stay Gold' from Heidi Swapp. So very fitting! The cute little girl is my niece Daphne - she's in competitive cheer and she's a true champ at it! Gold all the way! 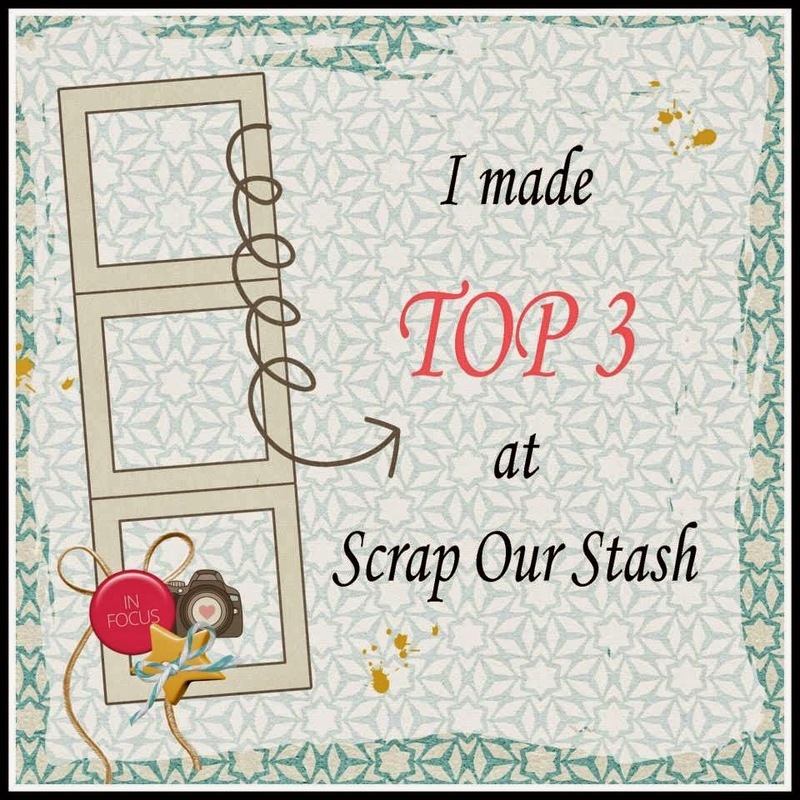 Visit me at scrap-utopia.blogspot.com for details." You must also use GOLD on your layout. Don't forget to click HERE for the SOS Challenge Guidelines!!! 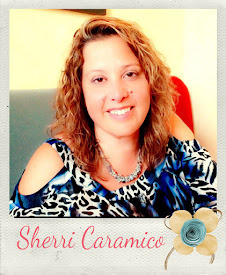 "I am just LUVIN all the gold embellishments that are out there right now...hopefully it stays for a little bit. 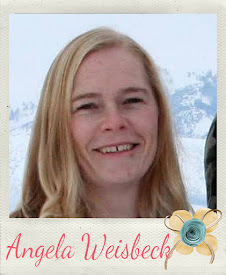 I chose to dig in my stash and use the GOLD sticker word, "SMILE" and also the GOLD Washi down at the bottom. 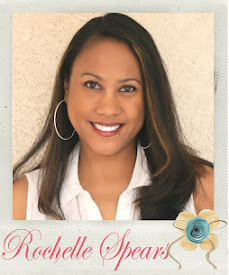 I also sprayed a little GOLD Heidi Swapp color mist and a few items of bling! I hope you enjoy this sketch as much as I did." 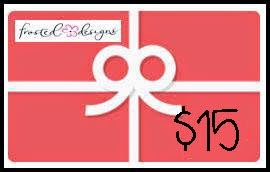 Click HERE for challenge details on this month's fabulous prize!!! and don't forget to use GOLD on your layout! Can't wait to see how this sketch inspires you! Yes! 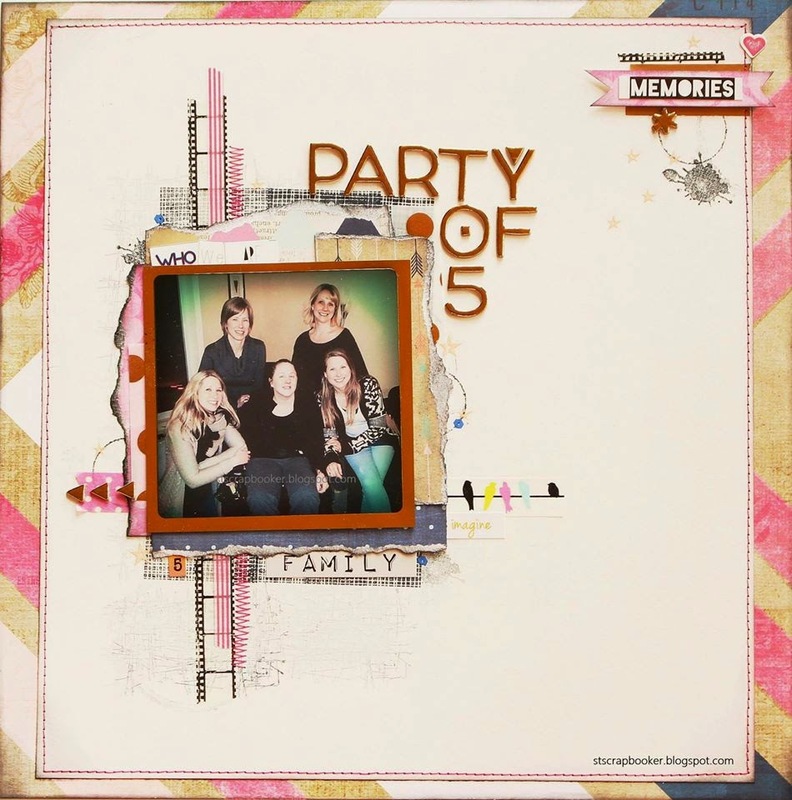 We are five girls in our family! Can you believe it!! Now that we are older, we plan special outings now and then to catch up, laugh, and sometimes cry. 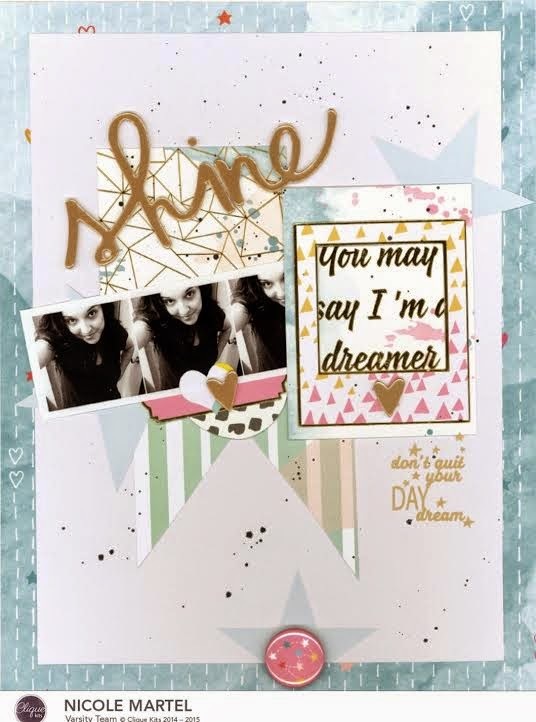 When I seen the sketch, I knew that I wanted to use stamps, washi tape and layers. Adding gold as an embellishment was right up my alley as gold is one of my current obsessions. Such a fun sketch to play with. More details and close ups on my blog. Can't wait to see what you create!" 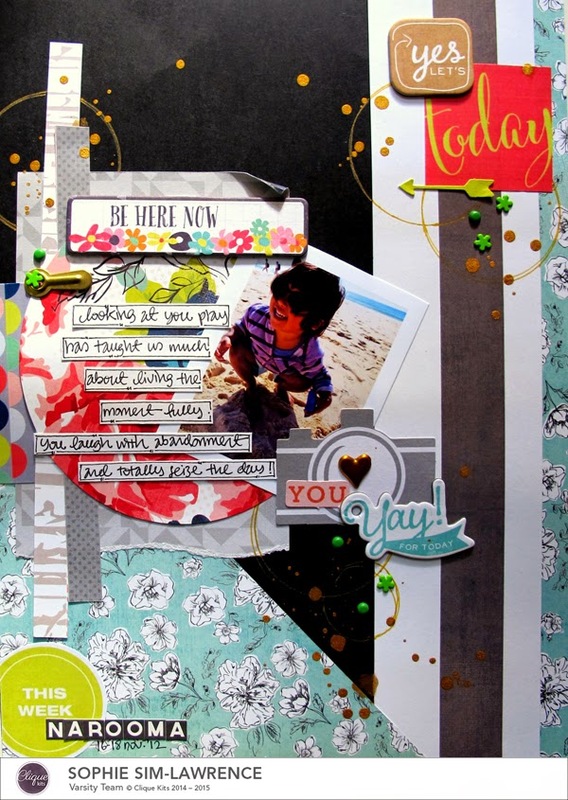 Click HERE for challenge details and description of this month's fabulous prize!!! 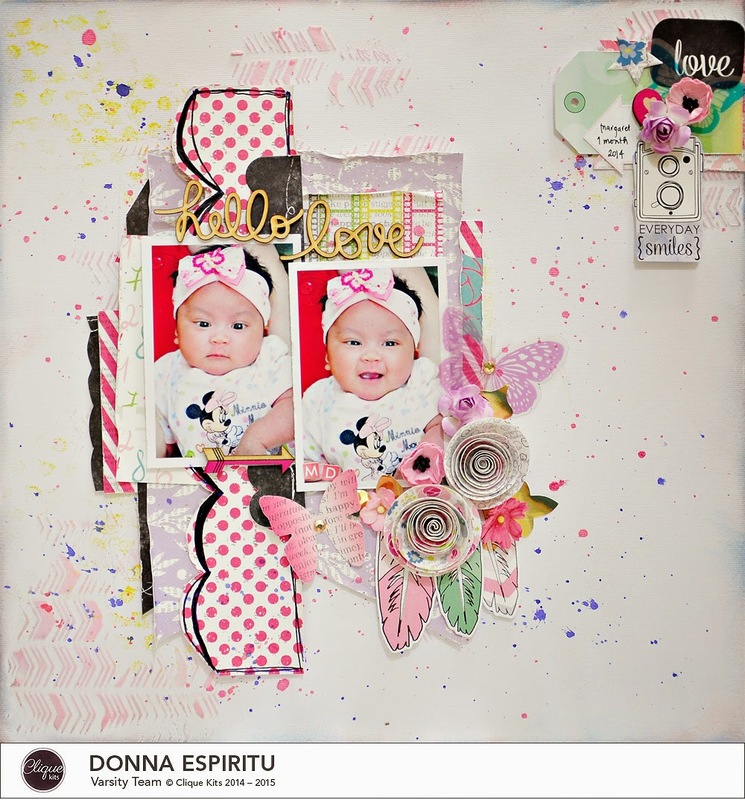 DT member Tanti inspires us today with her beautiful layout. Look how those colors just pop! 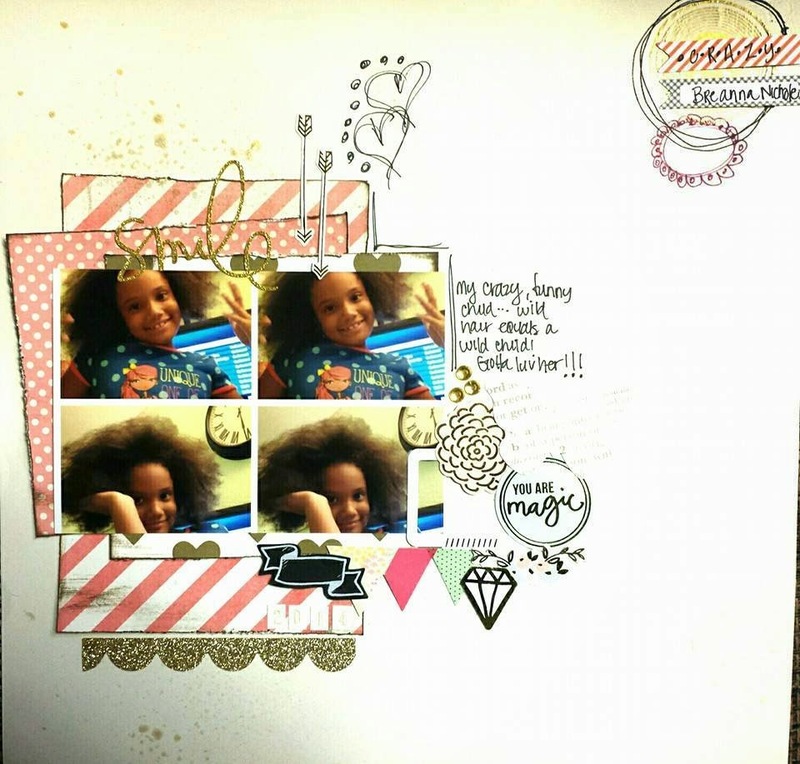 "It's been a long time since my first layout with a black background. This is my second one this month. With a dark background I could play a lot with bright colours, which's really fun. And the sketch was so perfect for my photo. I also did some hand stitching using sew easy tools. 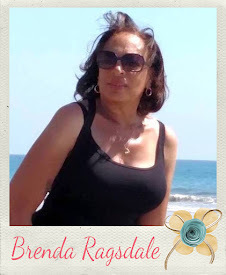 To complete the challenge I added a golden tag and golden sequins."